The clock strikes 10pm, and the dance floor opens. 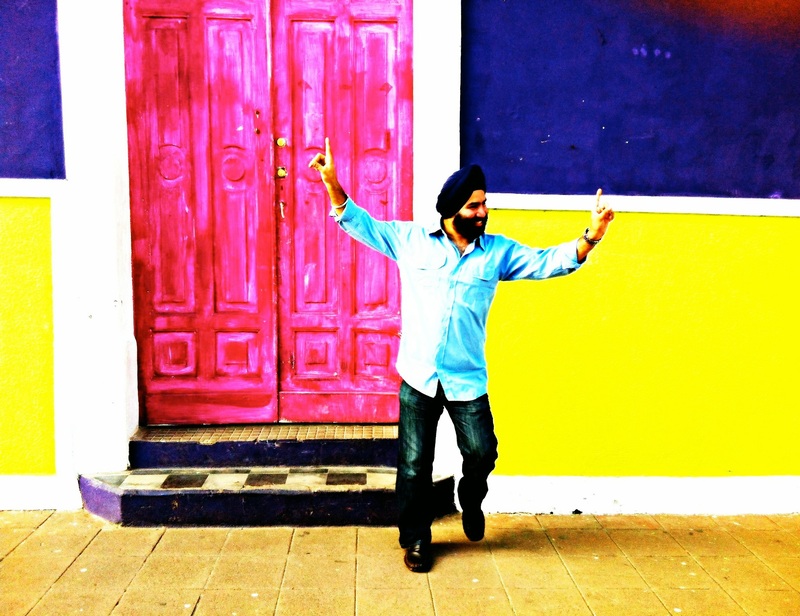 Spirited bhangra beats fill the air, accompanied with a rhythmic double headed drum, or better known as the dhol. This gets the patiala peg (whiskey shots)-infused bloodstream of the crowd up and running, as they get up on their feet and dance away the hearty helping of juicy mutton that was piled onto their plates about an hour or two ago. 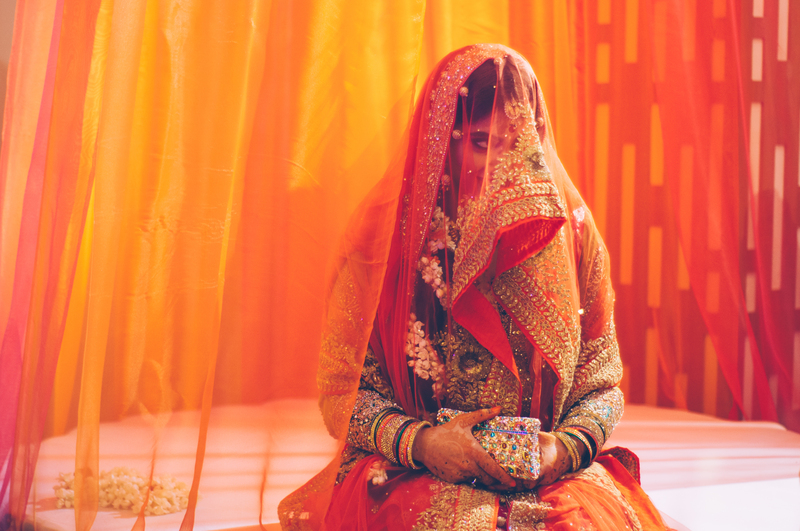 What is a Punjabi wedding? First and foremost, in Punjabi families, a marriage is not just about 'the bonding of two souls' – it is a bonding between two families. And by families, we mean extended families. So your mum’s sister’s husband’s brother’s daughter is now your cousin. There goes all your hope of telling her that you find her attractive. A Punjabi wedding is best explained by breaking it down to four main rituals, each of them representing a celebration within a celebration. Hence, with all of these elaborate and exciting celebrations to be held, it is no surprise to see a Punjabi wedding spanning at least three to four days, more commonly from Thursday to Sunday. This function is performed separately at the homes of the bride and the groom. This cleansing and purifying ceremony marks the start of the extravagant wedding celebrations. Here, oil is brushed on the hair of the bride and groom. Meanwhile, turmeric paste is gently smeared all over their bodies. While the singing is going on, the maternal uncle of the bride arrives to complete the choora ceremony. Here, the uncle gifts the bride traditional red and white coloured wedding choora (bangles). Soon enough, the crowd is entertained by an array of thumping performances from families of the bride and groom. With hungry bellies being well fed during dinner, the jaago soon arrives. Carried on the heads of the female relatives of the bride and groom, the arrival of this uniquely decorated pot leads to the men emptying their pockets and dancing along. Next, the dance floor opens and the partying begins. Adrenalised kids, enthusiastic teenagers, the robust male wolf pack, the sassy spice girls, fashionable aunties, tipsy uncles, adorable old couples and the beautiful bride and groom fill up the buzzing dance floor and bhangra away like there is no tomorrow. With Thursday’s sangeet shenanigans behind us, Friday is usually put to good use for some well-deserved R&R. Go easy on your feet as they have undoubtedly been overworked on the dance floor, and get in that crucial beauty sleep for Saturday’s big day. And as for the uncles who spent the entire night hogging the bar (if there was any), well, your bed will be your sanctuary for the rest of the day. 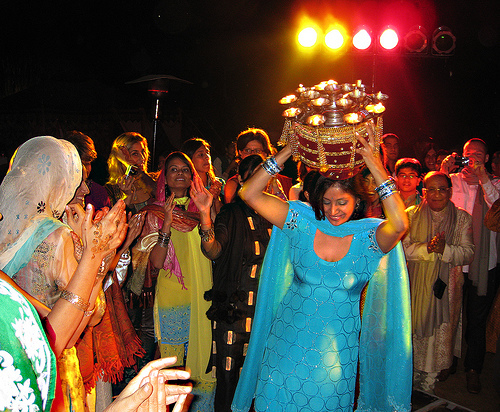 This brings us to the pinnacle of a Punjabi wedding, the wedding ceremony itself. 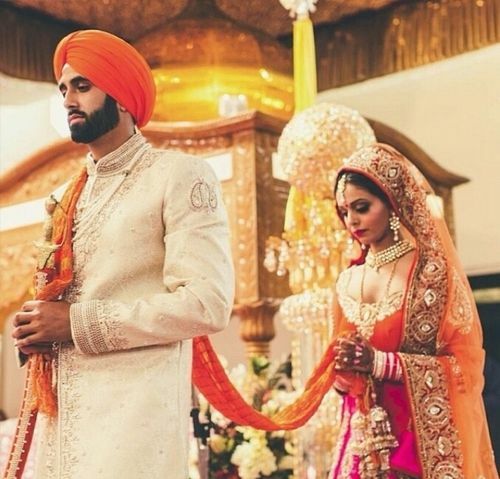 Commonly held on a Saturday, the Anand Karaj wedding ceremony takes place in a local Gurdwara, the Sikh place of worship. The ceremony kicks off in the morning as the groom makes his way to the Gurdwara while accompanied by family, friends and his sarbala (best man). Upon arrival, the milni ceremony takes place. Next, the families of the bride and groom are treated to a delectable Punjabi breakfast. Following the generous treat, guests make their way into the Gurdwara darbar sahib (prayer hall), and wait for the bride to walk in, accompanied by her family members. There are four stanzas to be recited from the Sri Guru Granth Sahib Ji (the Sikh holy book). Better known as the lavan, each of these represents a vow to be taken and upheld by the couple. Hence, the bride and groom circumambulate the Sri Guru Granth Sahib Ji on four occasions. 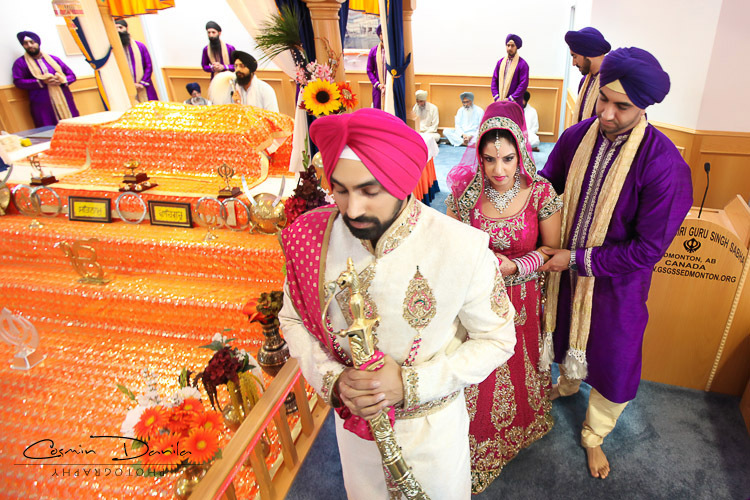 Upon completion of this blissful ceremony, the couple are now finally wed.
After the blissful Anand Karaj and the wedding lunch, the newlyweds make their way to the bride’s home for the doli di vaddai. Here, the married couple are given blessings by the family members of the bride, as the groom has now arrived to take his bride to her new home. The wedding reception marks the end of the extravagant Punjabi wedding celebration. 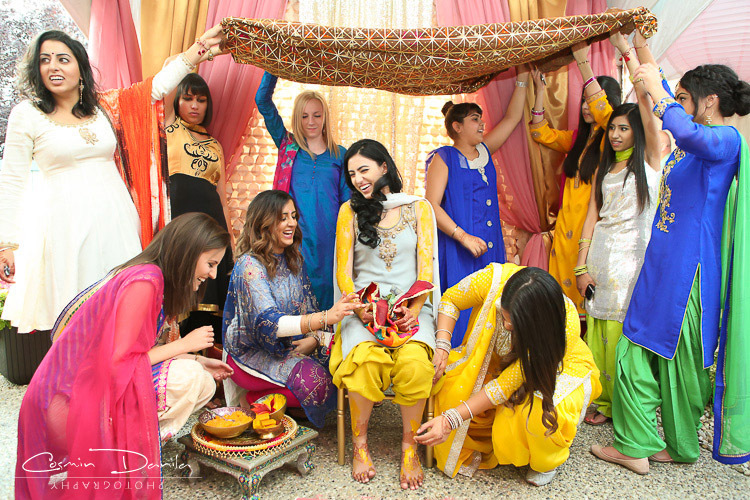 Here, there are no specific rules and rituals to be carried out, except for three: look your best, feed your guest and bhangra with the rest. 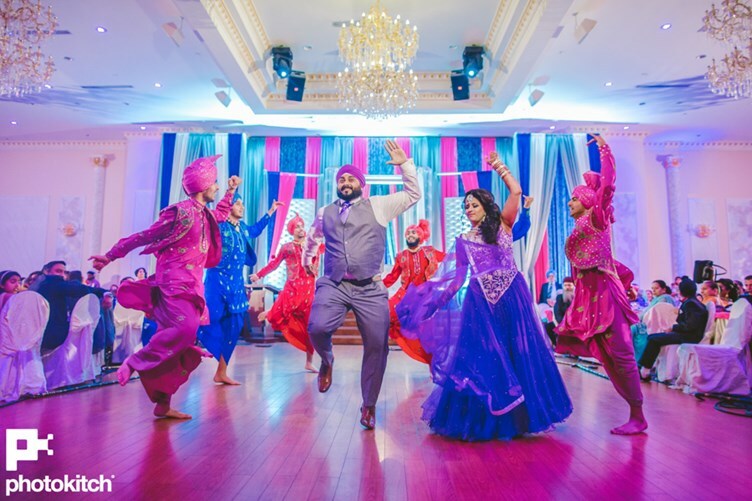 So there you have it, a look into a colourful and vibrant Malaysian Punjabi wedding. A perfect blend of tradition as well as celebration that promises to put a smile on the faces of its attendees. P.S. 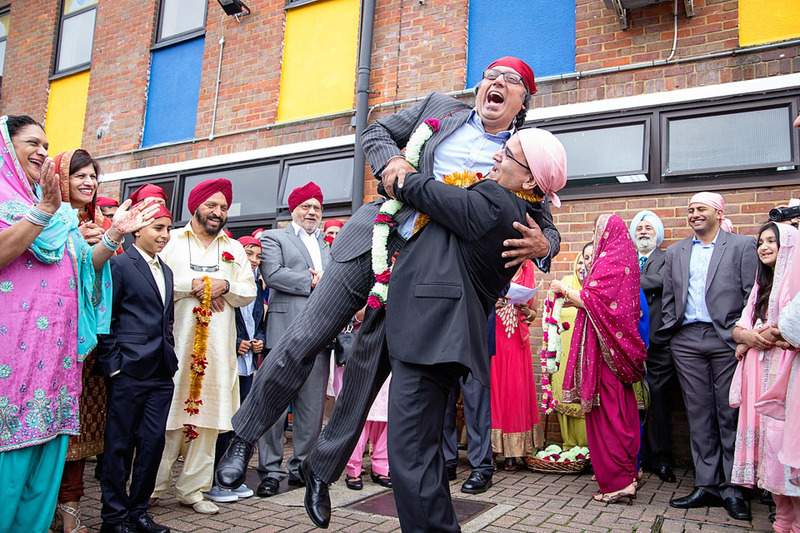 For the bhangra virgins out there, remember to always warm up your shoulders before hitting the dance floor. Trust us on that, because it is all about the shoulders. Guess Which Five Malaysian Universities Are Ranked In The World’s Top 300 Universities?